In our guest post series, we invite alumni, staff and current students to reflect on their time with the VCA. 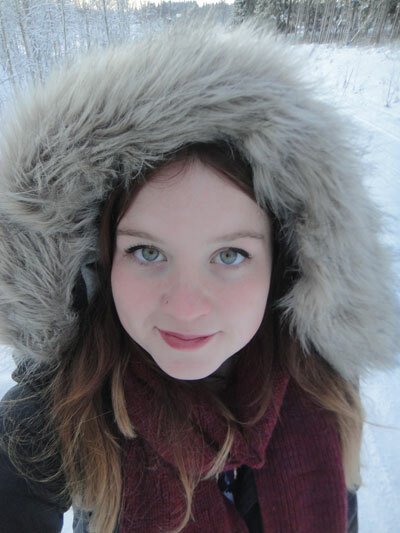 This week, Fine Arts student Laura Batch tells us about her winter residency in Hameenkryo. Laura Batch (born:29 November 1991, Melbourne, Australia) is currently undertaking a Bachelor of Fine Art in Sculpture and Spacial practice at the VCA. Within her artistic practice she has a strong process of experimenting with materiality and material bounds within the context of sculpture, photography, drawing and video. Laura’s artistic process consists of site searches and studies, by immersing herself within a site and how she reacts and navigates herself around this new site context via the use of her sculptural artistic practice. Laura Batch’s recent practice has also involved the exploratory process of documenting sounds made on site using sound recordings and video. Recent projects include There to Here The Vic (2012), Absorbed Landscapes, Brunswick Street Gallery (2012), and Exceeding Materiality, Stockroom Gallery (2011/2012), as well as a residency at Arteles in Finland from 1st January to the 16th of February 2012. Never had I seen snow before, so to see snow blanketing and absorbing the entire landscape, was strange but at the same time so beautiful. 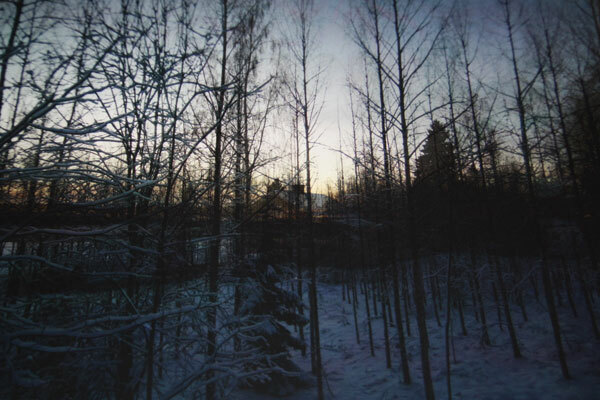 My first instinct, when arriving at my two-month residency at Arteles, in Hameenkyro, Western Finland, was to use and exploit the abundant snowy landscape and freezing winter conditions. I began with exploring the Arteles site and Hameenkyro, by creating drawings, casts, photographs, and videos to document the sites of interest. What dictated my choice of site was the overwhelming silence that I experienced, and how it was amplified within certain sites. The forest, the highways, the fields, the supermarket, and my bedroom were all sites I found to be particularly quiet. These sites were all so quiet, that you could hear you blood pulsating through your veins when lying in bed at night. Researching John Cage’s theories of silence and music, helped me pursue a new direction within art which resulted in experimenting with soundscaping. I began this experimentation by taking several sound recordings from the chosen ‘sites of silence’ and then compiling and layering them into an immersive soundscape. When listening to this soundscape, at first it seems to be a recording of nothing, the more intensely you listen the more aware you become of the subtle sounds emanating from the soundtrack. Alongside the soundscape, I created a similar video work that layered three videos I had taken of the ‘sites of silence’ to create a dream like landscape, that distorts three landscapes into one. 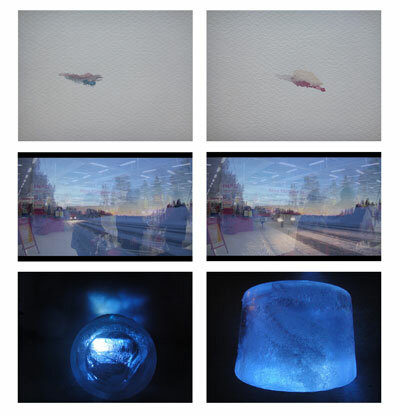 Then to further distort these landscapes and silence them I projected the video through one of the ice sculptures I had also made while on residency, which made the video into a icy blur of white/blue light, to reflect how the snow absorbed the entire landscape during the period of my residency. The time spent on residency over January and February 2012 was the most amazing time I’ve had in regards to my artistic practice. I met so many international artists over the two months. The best experience I had was helping out with an exhibition in Helsinki for Outi Heiskanen, who is the most well known artist in Finland, and her retrospective exhibition at Didrichsen Museum in Helsinki. This experience for me was inspiring to after finishing my degree to strive for an international practice. All works created at Arteles as part of my residency are being continued in my studio practice in my last year of study at the Victorian College of the Arts. 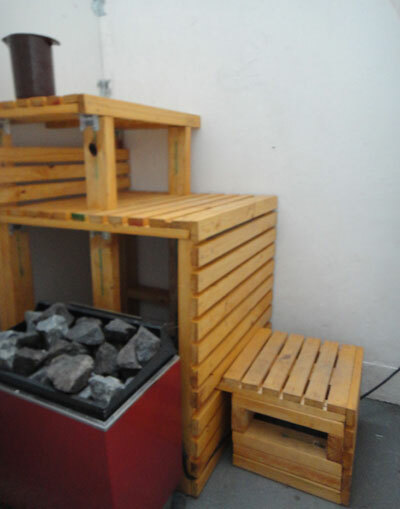 So far this year I have created a working sauna from memory of the sauna that was at Arteles. I welcome anyone to come to my studio in the Sculpture shed to have a Finnish sauna experience.